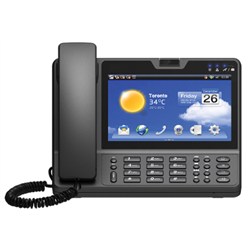 The AVCDP7 from WatchNET is an Android based multimedia telephone that features a 7-inch touchscreen and a 1.3 CMOS camera with a privacy shutter. It can be used with WatchNETs SIP intercom solutions, EPBX intercom system or with SIP telephone lines (SIP server required). The speaker button on the keypad allows for this unit to be used hands-free. 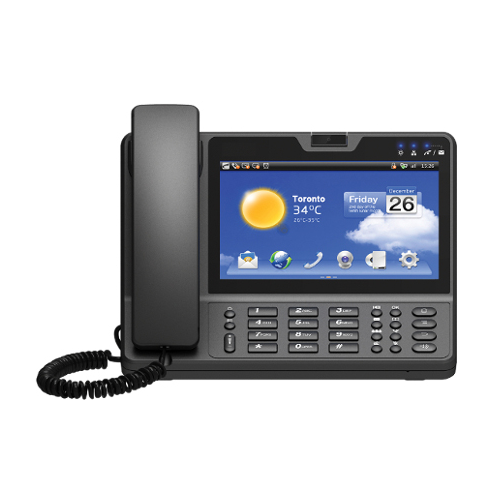 Although this is primarily a desk intercom phone, the unit’s 7” touchscreen can be used not only as a high-quality videophone but also for surfing the web as well as accessing Android apps. The H.264 codecs let it use bandwidth efficiently without sacrificing image quality.